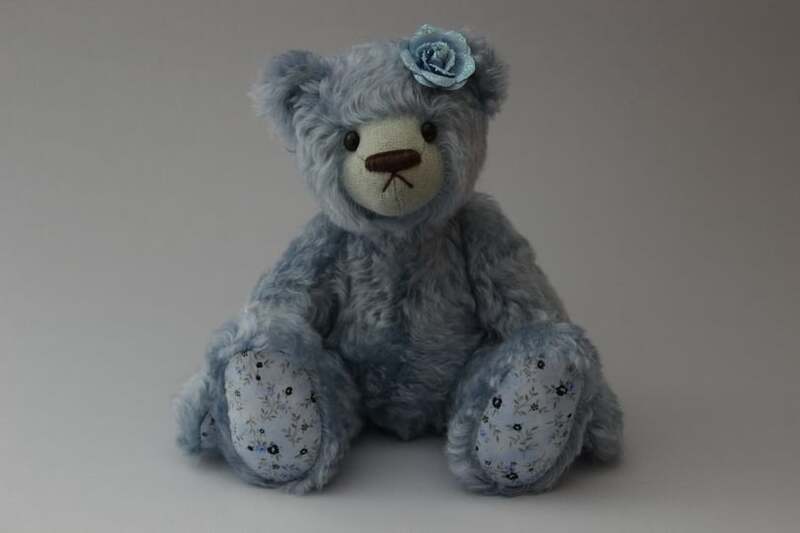 She is made of a very soft, curly blue Steiff Schulte mohair, her hands and feeth are made of a blue quiltfabric with flower motive that matches perfect. 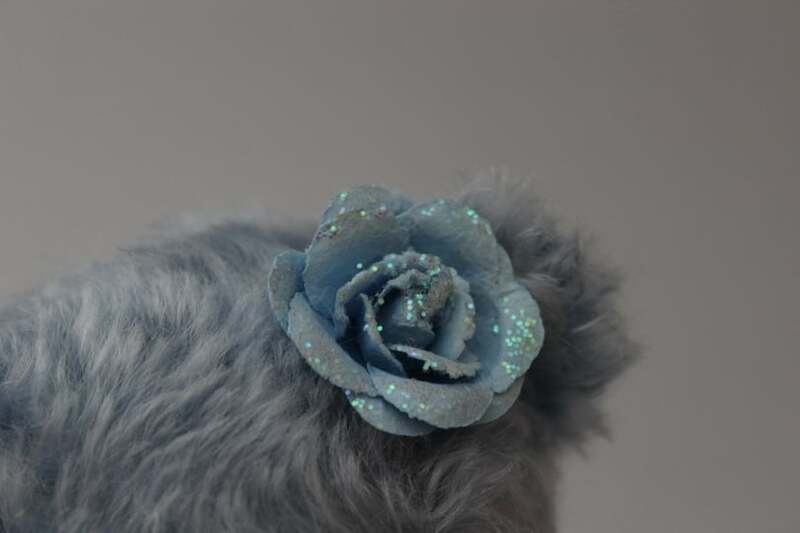 She has big german glass eyes , a dark brown hand stitched nose and in her hair she has a lovely blue rose. She is about 10 inches tall and filled with synthetic fabric and little steel pellets so that she is having a little bit of weight. 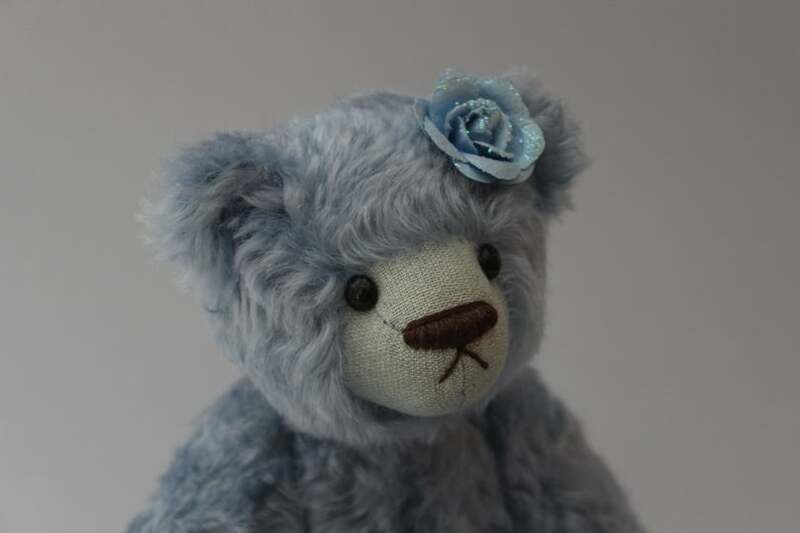 Bluebell is a one of a kind Mirabeer and made by hand.